RED ALERT: FOTD with red makeup.. Yep eyes included..
Last week I did a post inspired by my favourite colour purple (Read HERE). It was a lot of fun to do and it reacquainted me with quite a few neglected items in my make up collection! 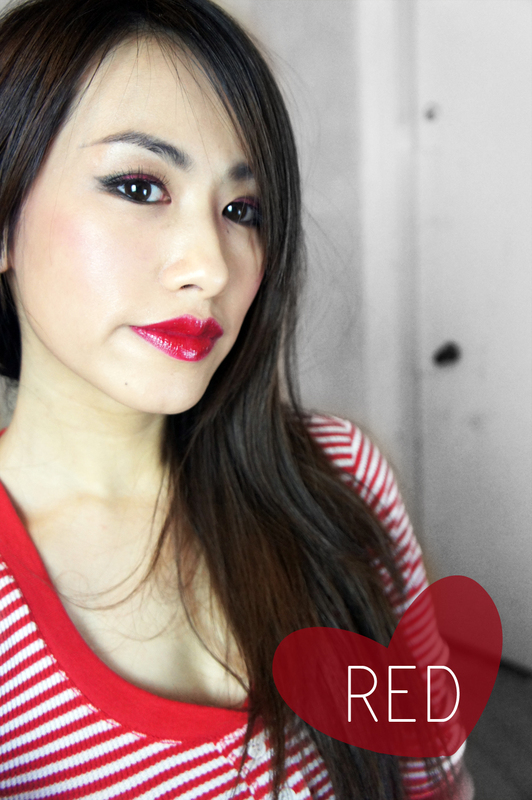 So I thought it would be fun to do more colour inspired posts and this week I’ve chosen to do RED! Anyhow I did manage with the very few red items that I do have! 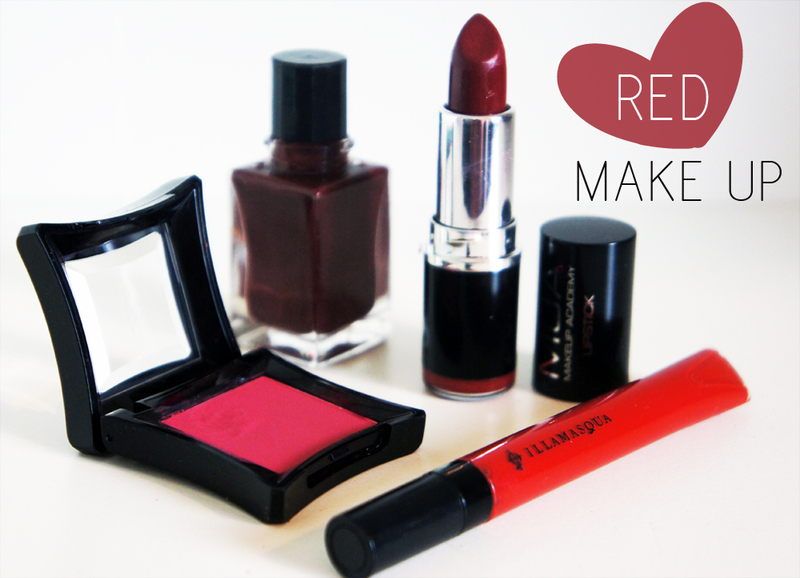 I have a red eyeshadow by Illamasqua which I got from the Mystery Selection (Read HERE), and to be perfectly honest I had no idea what I would do with a red eyeshadow until now! This little gem actually works great as a blusher and looks great on the eyes teamed with some smokey black shadow! POWDER EYESHADOW ‘ANGST’:ILLAMASQUA|| INTENSE LIPGLOSS ‘SUCCUBUS’: ILLAMASQUA|| LIPSTICK ‘SHADE 1’: MUA|| VERNIS LAQUE PUR: YSL. 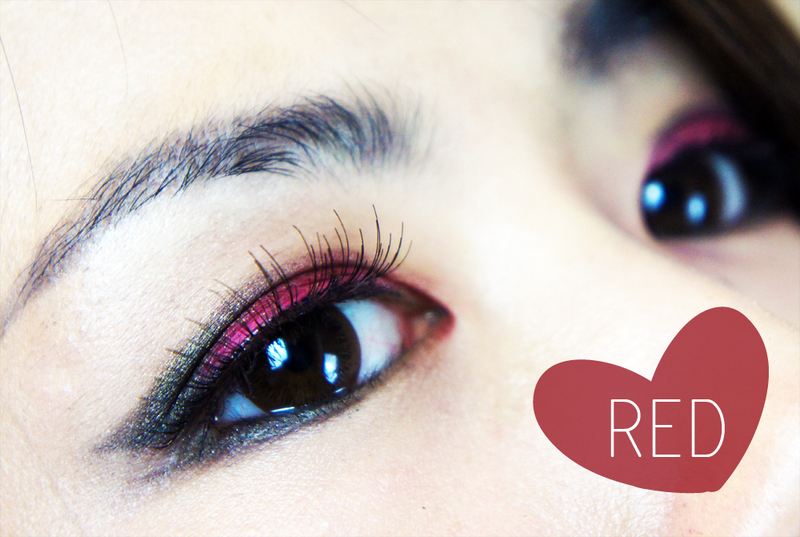 I know it’s still weeks away yet, but I think this makes a nice Valentines Day Makeup look if you need some inspiration! Now, BIG SHOUT OUT to a nutty Blogger I’ve come to know! She’s as mad as a box of mad… hatters? Lol, I dunno, but she is mad, I’m sure you get the gist! Epiphannie at www.epiphanniea.co.uk has joined forces with me to paint the blog town red this week! Her post made me chuckle out loud! Go see for yourself her madness! She’s hilarious! (READ IT HERE). Tags: benefit, Illamasqua, Intense Lipgloss, makeup, Nail Polish, Red Eyeshadow, Red Makeup, Red Nose Day, Valentines Day Make Up, YSL. Bookmark the permalink. I’m loving these posts Kamen! You look gorgeous! The nail polish is so beautiful and so classic! I’m so tempted to do another online order at Illamasqua now! Aw I love that red shadow! NIce to meet you, Kamen! Red is my favourite colour and I like so much how you’ve used your red eyeshadow!!! What a fun but AMAZING look! You are so beauty brave, the red liner is amazing! For Super Bowl Sunday, I’ll be painted red. Go NINERS! Hey are considering a football themed nail art? Ohhhh? Red means passion, right? But did you know that Red actually conveys different meanings and many of these meanings, though, come from one single source: blood. Blood is LIFE + HEART= LOVE. 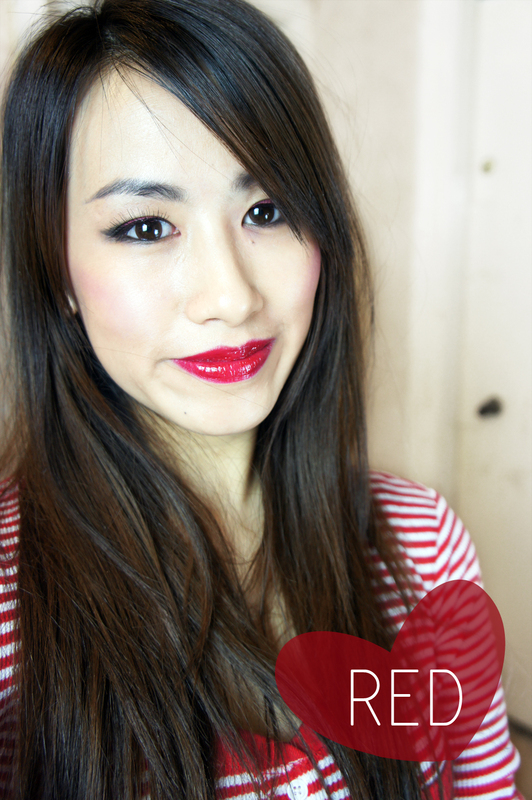 (-: I love red, too, and I love the way you model those products. Very professional. Your make-up and nails look gorgeous! I especially love the color of your eyeshadow.